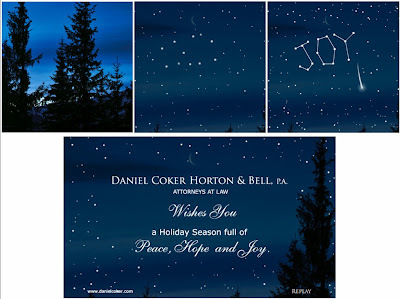 Today we're going to take a quick look at Prince Lobel, Baker Donelson, Jackson Walker, Daniel Coker, and Levenfeld Pearlstein's animated holiday cards. 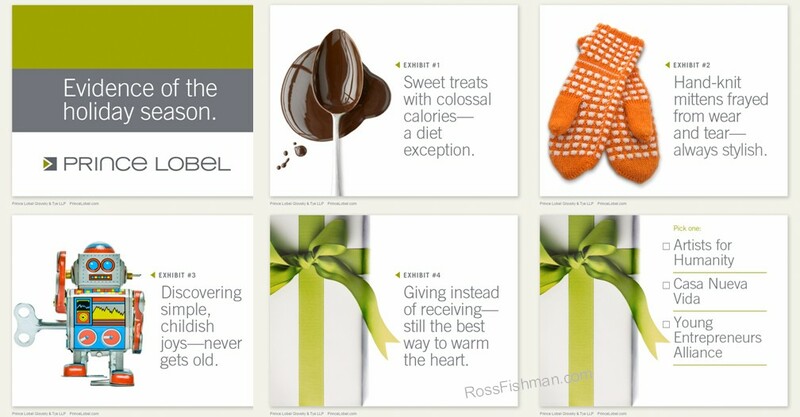 Prince Lobel's "Evidence of the holiday season" holiday card has a clean execution and positive impact is . 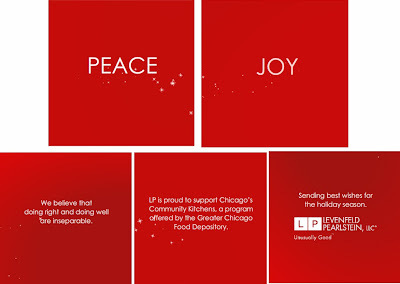 A gentle connection to Law (the "evidence" pun), and a positive holiday message makes the whole thing work. Baker Donelson et al. has JOY turning itself into a happy snowman,who politely tips his hat our way. 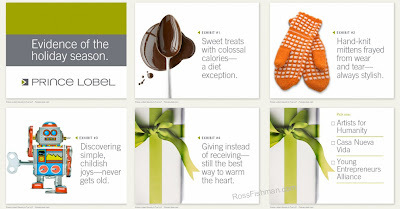 Simple, cute and effective. Another straightforward effort comes from Daniel Coker Horton & Bell, whose animated card shows a clear, winter night, and starry sky. 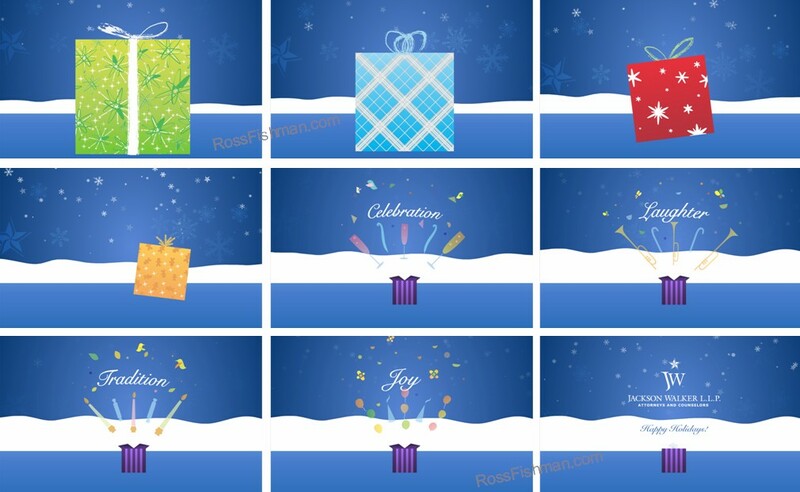 Jackson Walker's cute animated holiday card shows a series of increasingly smaller gift boxes bursting out of larger ones. Finally, Celebration, Laughter, Tradition, and Joy, explode exuberantly out of the tiny Cindy Lou Who box. 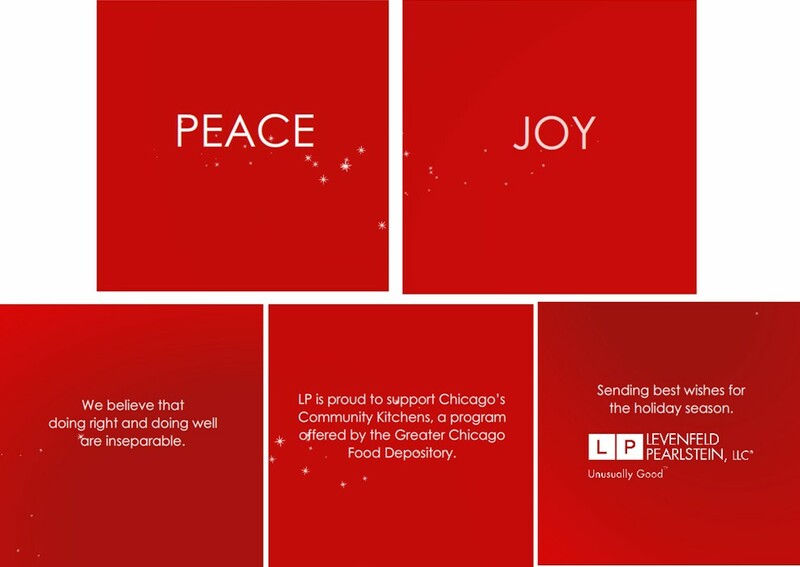 Levenfeld Pearlstein's mildly animated e-card has a simple "Peace, Joy" message, and they've selected a single worthwhile charity, Chicago's Community Kitchens. And, obviously -- be careful!